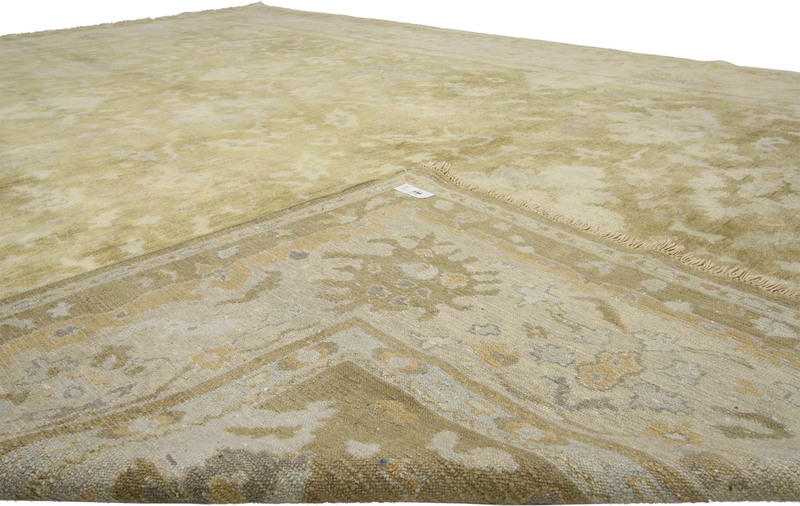 Transitional Oushak Style Rug 09'00 X 12'05 From Esmaili Rug Collection. 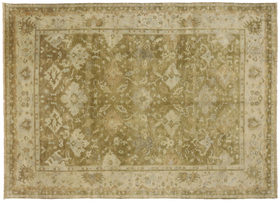 Balance new and old with a mix of classic geometric motifs, neutrals and warmth. 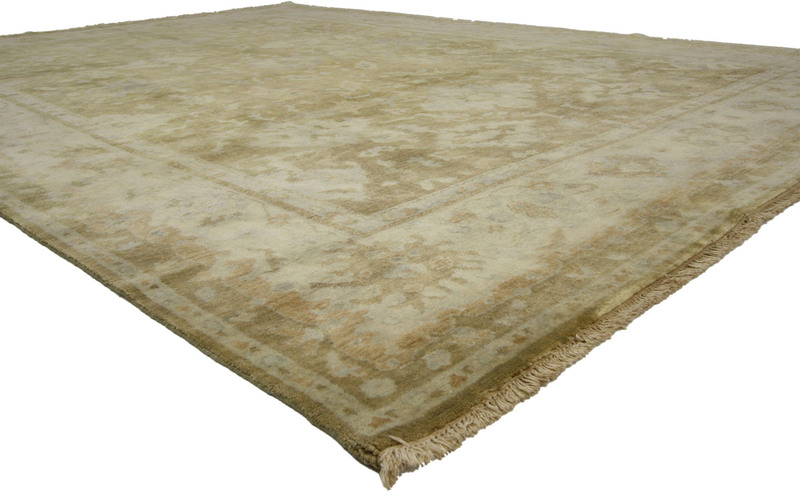 This transitional rug blends traditional with modern and the end result is an elegant, enduring Oushak design that is both classic and comfortable. 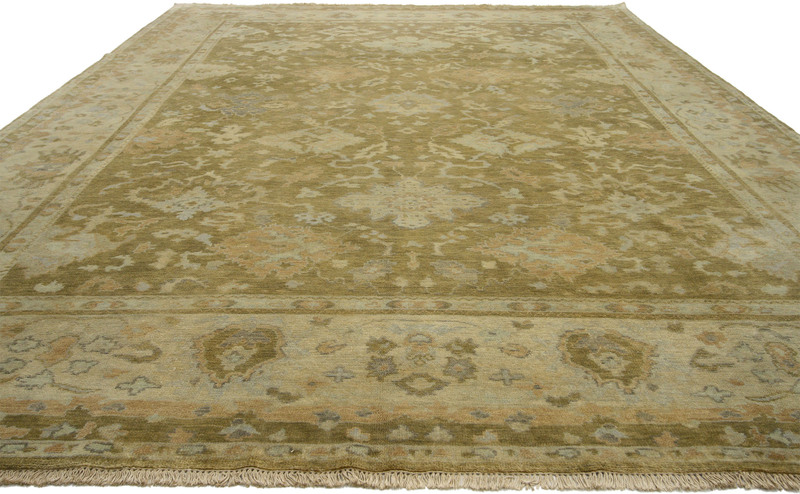 A beautiful display of finely fashioned elegant florals and geometric motifs are delicately woven throughout the golden field. 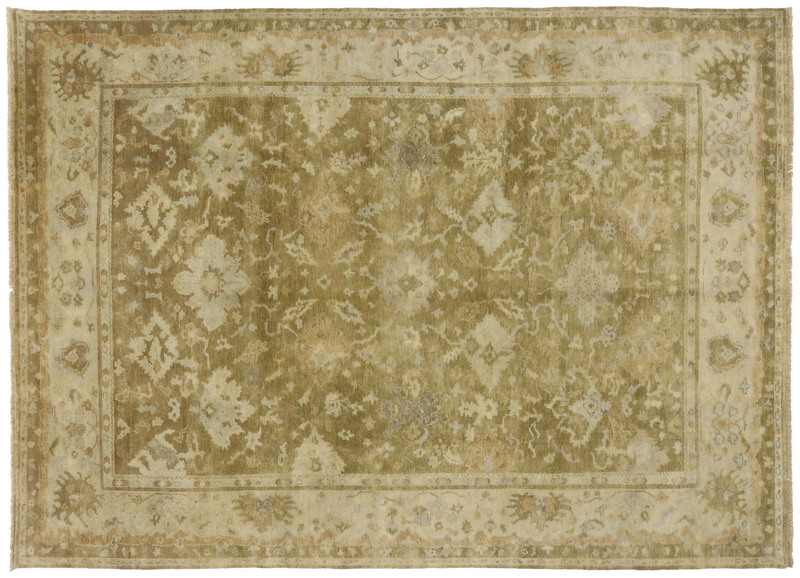 Hand knotted from soft, silky wool and featuring warm, luminous colors from golden tones, creamy clay, apricot, gray, beige and pale yellow, this Oushak style area rug shows the warm side of modern.